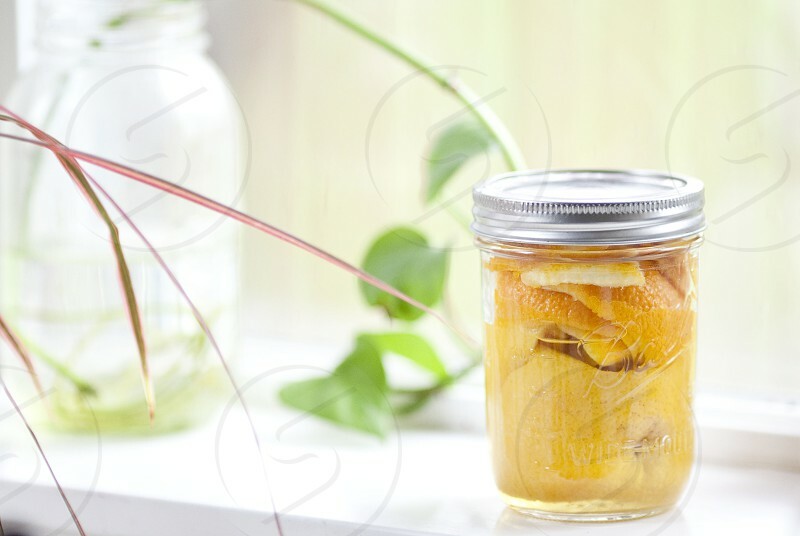 Homemade citrus oil cleaner. Natural homesteading. Window light.